With direct access to the beach, this Gulfport hotel is within 1 mi (2 km) of Memorial Hospital at Gulfport, Gulfport Beach, and Port of Gulfport. Bert Jones Yacht Harbor and Friendship Oak are also within 2 mi (3 km). Gulfport Amtrak Station is 29 minutes by foot. With direct access to the beach, this Gulfport hotel is in the city center and within 1 mi (2 km) of Joseph T. Jones Monument, Gulfport Beach, and Port of Gulfport. Bert Jones Yacht Harbor and Grasslawn II are also within 1 mi (2 km). Gulfport Amtrak Station is 20 minutes by foot. Situated near the airport, this hotel is 0.8 mi (1.3 km) from Gulfport Premium Outlets and within 3 mi (5 km) of Crossroads Shopping Center and Bayou Vista Golf Course. Busted Wrench Garage Museum and Gulf Islands Waterpark are also within 3 mi (5 km). Situated by the ocean, this historic vacation home is within 1 mi (2 km) of Lynn Meadows Discovery Center and Gulfport Beach. Great Southern Golf Club and Grasslawn II are also within 3 mi (5 km). Nestled on the beach, this Gulfport property is within 1 mi (2 km) of Great Southern Golf Club and Gulfport Beach. Mississippi Coast Coliseum and Convention Center is 2.1 mi (3.3 km) away. 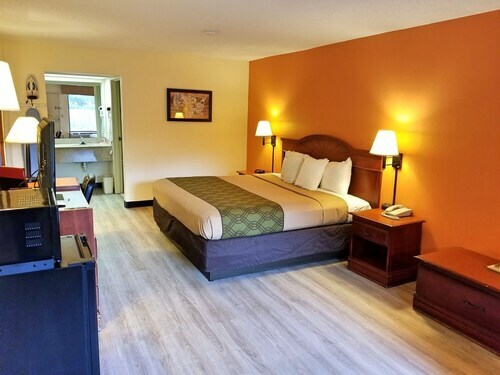 Situated near the airport, this motel is 0.8 mi (1.3 km) from Gulfport Premium Outlets and within 3 mi (5 km) of Crossroads Shopping Center and Bayou Vista Golf Course. Busted Wrench Garage Museum and Gulf Islands Waterpark are also within 3 mi (5 km). Situated by the ocean, this romantic vacation home is within 1 mi (2 km) of Lynn Meadows Discovery Center and Gulfport Beach. Great Southern Golf Club and Grasslawn II are also within 3 mi (5 km). Days Inn by Wyndham Gulfport is a 2.00 star hotel and previous guests rate it 2.50 out of 5. Hilton Garden Inn Gulfport Airport is a 3.00 star hotel and previous guests rate it 4.40 out of 5. 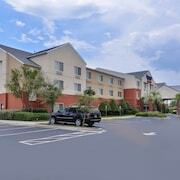 Hampton Inn & Suites Gulfport is a 2.50 star hotel and previous guests rate it 4.70 out of 5. 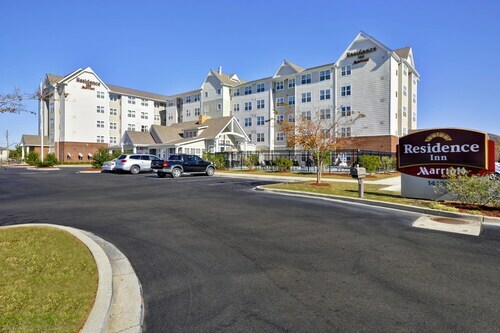 Red Roof Inn Gulfport - Biloxi Airport is a 2.00 star hotel with a guest rating of 3.30 out of 5. Super 8 by Wyndham Gulfport Near Biloxi is a 2.00 star hotel with a guest rating of 3.20 out of 5. Residence Inn by Marriott Gulfport-Biloxi Airport is a 3.00 star hotel with a guest rating of 4.60 out of 5. InTown Suites Gulfport is a 2.00 star hotel with a guest rating of 2.70 out of 5. 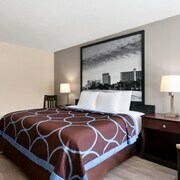 Comfort Inn & Suites Crystal Inn Sportsplex is a 2.50 star hotel with a guest rating of 3.80 out of 5. 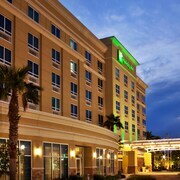 Holiday Inn Gulfport Airport is a 3.00 star hotel with a guest rating of 4.50 out of 5. The Almanett Hotel is a 3.50 star hotel with a guest rating of 4.30 out of 5. 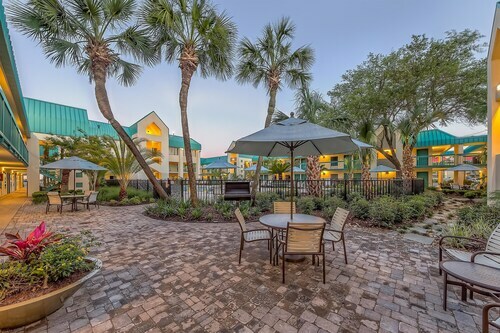 Courtyard by Marriott Gulfport Beachfront is a 3.00 star hotel with a guest rating of 4.20 out of 5. Offering direct access to the beach, this Gulfport hotel is within 2 mi (3 km) of Port of Gulfport, Jones Park, and Friendship Oak. University of Southern Mississippi-Gulf Coast and Bert Jones Yacht Harbor are also within 2 mi (3 km). Situated in Gulfport, this hotel is within 3 mi (5 km) of Gulfport Premium Outlets, Busted Wrench Garage Museum, and Crossroads Shopping Center. Bayou Vista Golf Course is 2.7 mi (4.3 km) away. What’s better than a beautiful Gulfport hotel near the beach? Finding that hotel for a deal! Check out our amazing deals on stunning Gulfport beach hotel properties to find exactly what you’re looking for on your next trip to Gulfport. 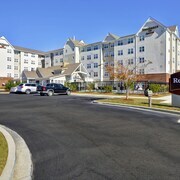 Wingate by Wyndham Gulfport MS: has a guest rating of 4.30 out of 5 stars. Courtyard by Marriott Gulfport Beachfront: has a guest rating of 4.20 out of 5 stars. Hilton Garden Inn Gulfport Airport: has a guest rating of 4.40 out of 5 stars. Book The Guest House at Gulfport Landing, which has a guest rating of 5.00 out of 5 stars. Book Hampton Inn & Suites Gulfport, which has a guest rating of 4.70 out of 5 stars. Book Residence Inn by Marriott Gulfport-Biloxi Airport, which has a guest rating of 4.60 out of 5 stars. Newly remodeled, excellent beds. Super clean. Excellent staff. The breakfast was very good. We looked forward to it and it was free!!! Staff was so nice and friendly. Very clean nice room! Plenty of parking good area. Breakfast was as expected. The room was clean and good sized. Very good price. Desk clerk was efficient but very friendly. This was the nicest cleanest property I have ever visited. Best bargain for the price. Clean, quiet and very friendly staff. Great full breakfast in the morning made it quite the treat. Will recommend to EVERYONE! Best place in Gulfport. Free shuttle from the airport and late check in made it awesome and very safe for a single gal traveling alone! Room was clean with nice view and easy access other locations. Cute House Walk To The Beach!! Wonderful 4 BR House. Close To Everything!! Gorgeous 3 Bed/3 Bath Town Home by the Beach! Pool!